‘I want to stay at Tokyo Disney Resort® official hotel!!! But I have to give up after seeing the room rate’; ‘I want to arrive at the hotel immediately every time the moment I left Tokyo Disney Resort®’. Have you ever had that experience? This time, FUN! JAPAN team will sneak in interview ‘Tokyo Disney Celebration Hotel’, and introduce ‘Value type’ Disney Hotel all at once!!! Tokyo Disney Celebration Hotel®, which is located at Shin-Urayasu area, Chiba prefecture, is 15-20 minutes from Tokyo Disney Land and Tokyo Disney Sea by direct bus. Do not worry about moving around as there is free shuttle bus ‘Wish & Discover Shuttle’ between the hotel and both parks. The hotel is comprised of 2 building with different theme as their concept. "Tokyo Disney Celebration Hotel ®: Wish" was opened in June 2016, with 352 rooms, and "Tokyo Disney Celebration Hotel ®: Discover" was opened in September of the same year, with 350 rooms. There are room types that can accommodate various scenes, and rooms that can accommodate up to 5 people are also available at "Discover" building. 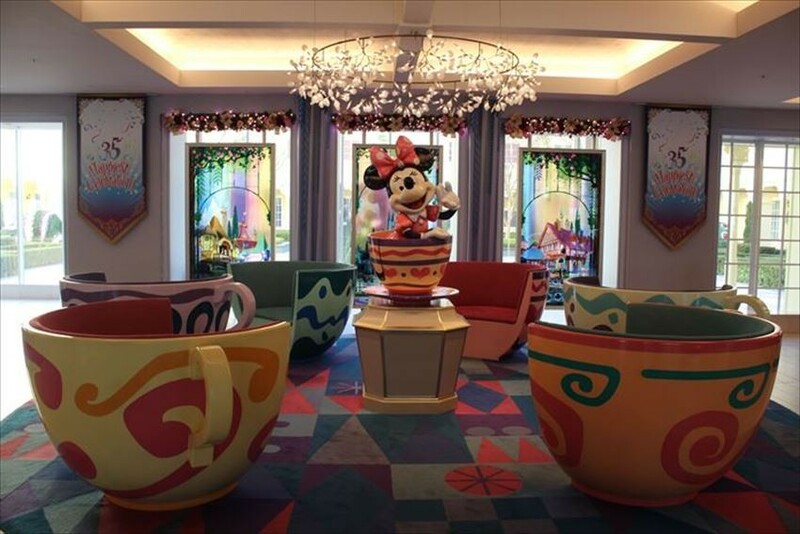 You will be greeted by Minnie mouse in a tea cup when entering the lobby of "Tokyo Disney Celebration Hotel ®: Wish". It reminds of Tokyo Disney Land attraction ‘Alice’s Tea Party’. Why don’t you actually get in the cup and take a remembrance photo with Minnie Mouse? Furthermore, you will not get tired of your children when the waiting time is long as there is an area in the lobby that is set up for screening Disney movies. 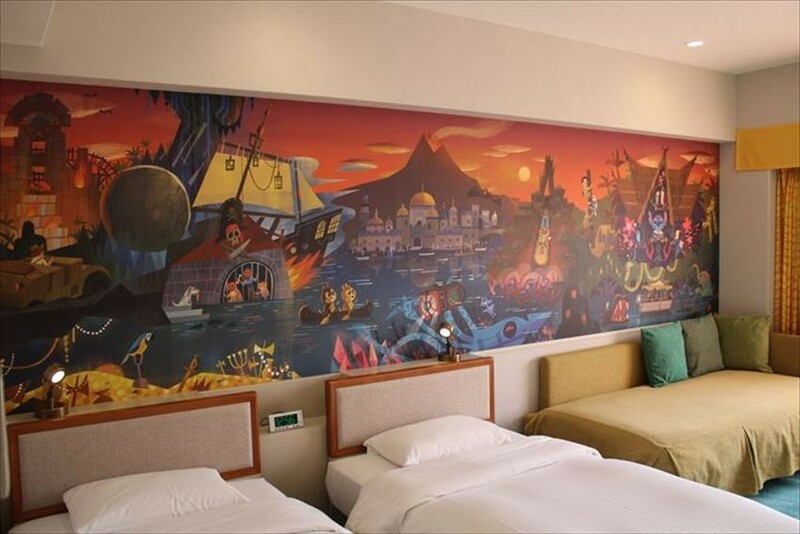 When you enter the room, the wallpaper design is devised and Disney’s friends enjoying the park attraction art is drawn on the wall too. Please count how many attractions have you ride when you take a break. When you step into the courtyard, some kind of friendly scene will appear in front of you; Cheshire cat that appear in “Alice in Wonderland” and the dragon from “Pete’s Dragon”. That’s right! The concept of the courtyard is Tokyo Disneyland night parade “Tokyo Disneyland Electrical Parade Dream lights”. Unlike the atmosphere of "Wish" building, the theme in "Discover" building is adventure and discovery. Even now, Mickey Mouse statue which is about to begin its adventure will greet everyone at the lobby. When entering the room, a picture depicting Tokyo Disneyland® attraction "Jungle Cruise: Wildlife Expedition" and "Splash Mountain" jumped out. You can taste the adventure trip again after returning to the room. Here we go! 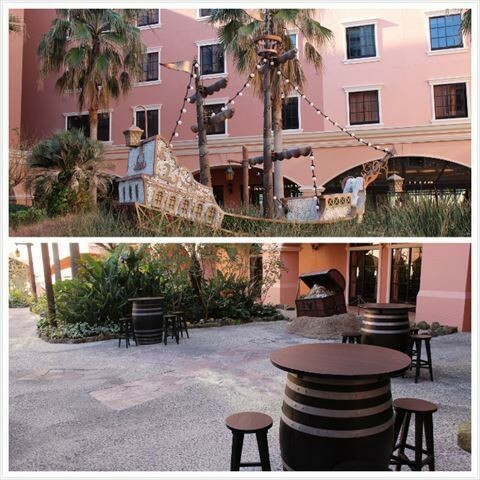 Let’s adventure in the courtyard! It’s just like a good city of “Pirates of Caribbean”, there are pirate ships and treasure boxes with gold coin and jewels, and also tables which imaged beer barrels. In the evening, the atmosphere of the adventure is further increased in the light-up courtyard. Let’s go for a walk with an explorer mood! 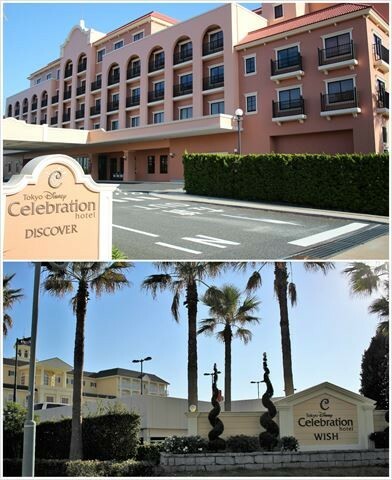 One of the great attractions of "Tokyo Disney Celebration Hotel®" is affordable accommodation prices. Guests staying in one room for 4 people can stay from 17,600 yen. So, the amount per person is from 4,400 yen (price may fluctuate depending on season). Most importantly, Disney hotel guests are eligible for "Happy 15 Entry" which can enter the targeted area 15 minutes prior to the usual opening time and the "Entrance Insurance" privilege which guarantees the entry to the park even on congestion day. 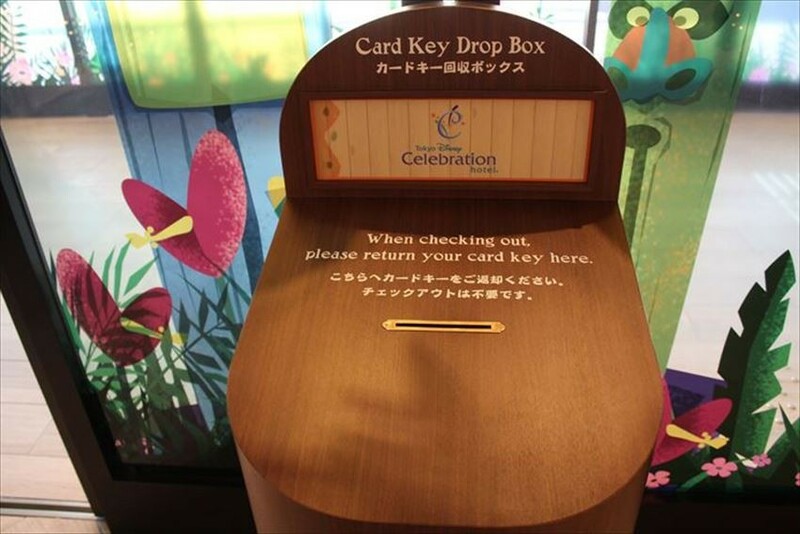 Also, it is very convenient as you can simply checkout by returning the card key to the collection box. 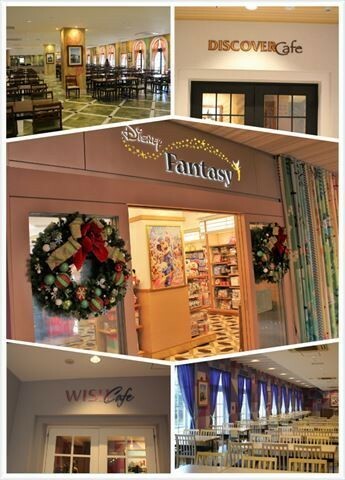 There is a Disney shop called “Disney Fantasy” set up in the hotel hall and sells goods which is sold at shops in the park. There is also a shop which opens 24 hours a day, and a restaurant which has about 200 seats, offers a simple breakfast in buffet style. They do not offer lunch or dinner. 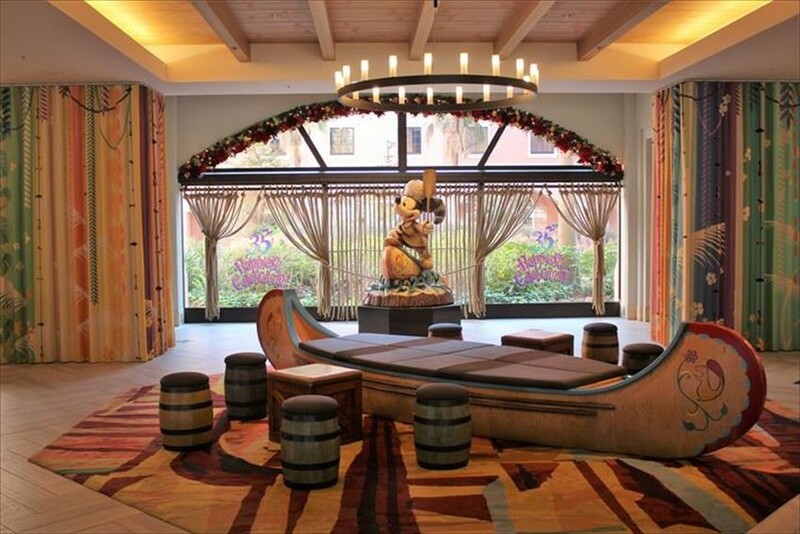 Speaking of Disney hotel, you will find equipment and amenities with characters drawn on them. 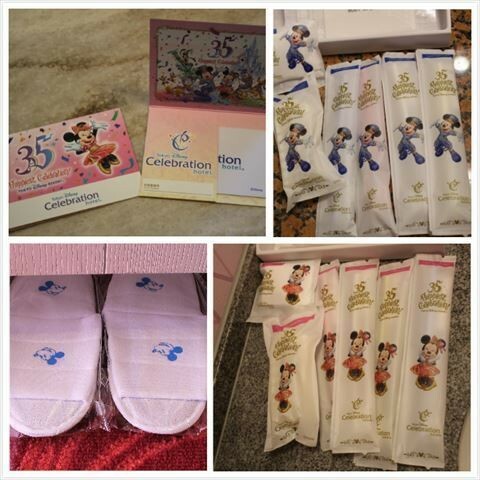 The current key booklet and design of room amenities are prepared according to the 35th anniversary event of Tokyo Disney Resort®, and "Tokyo Disney Celebration Hotel®: Wish" provides 35th anniversary limited design of Minnie mouse key booklet and room amenities. While, "Tokyo Disney Celebration Hotel®: Discover" will be 35th anniversary limited design of Mickey Mouse. By the way, the slippers in the room have Mickey Mouse design! Take the free shuttle bus and move between both parks and hotel! Although it is a little far away from both parks, the free shuttle bus "Wish & Discover Shuttle" will pick you up and transfer between hotel and both parks. 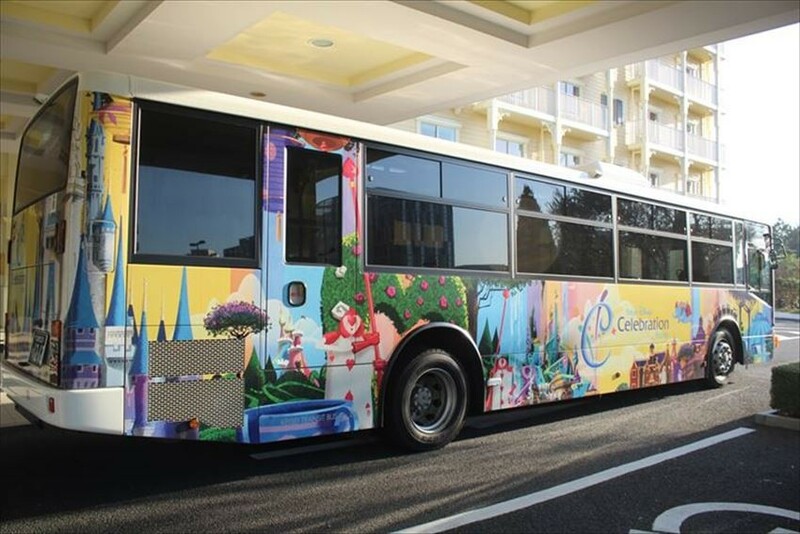 It takes about 15 minutes from hotel to Tokyo Disney Sea, about 25 minutes to Tokyo Disney Land ®, and there will be 8 trips in 1 hour during peak hour, 2 to 3 trips per hour at other times. Duration may be delayed due to weather and traffic conditions. So, kindly plan your trip in advance before departs. Looking at this far, does Tokyo Disney hotel change its image from being an expensive hotel? Do you have the urge to book now as the price is affordable and benefits such as being to enter park in an instant? Next time, let's stay at "Tokyo Disney Celebration Hotel®" when you come to Tokyo Disney Resort® and make more abundant memories! !